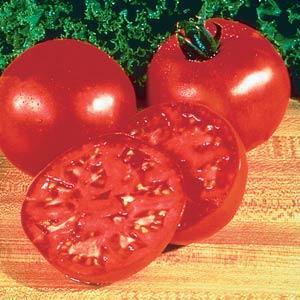 Big Boy tomatoes are a red tomato that can get up to 1 pound. The plant itself is indeterminate but has a bushy habit. The fruit is smooth with great flavor and good quality. Big Boy is often in the top five all-time favorite of some experts and tends to be very popular with consumers also. Outstanding Features: Good resistance to Fusarium Wilt, Verticillium Wilt and Tobacco Mosaic Virus.